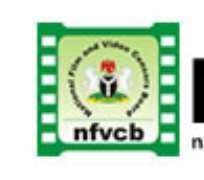 The National Film and Video Censors Board led by its Director General, Emeka Mba and the Lagos film and video censors board led by Lagos commissioner for Tourism, Tokubo Afikuyomi mid week signed a memoranda of understanding to streamline their activities. The MoU will see the two boards working in tandem to avoid duplication and of course collision. The MoU which was signed at the Lagos Airport Hotel Ikeja saw the two parties agreeing to the fact that the national body sees to the policy framework so to speak while the state owned Censors Board face the enforcement because they are closer to the people. In the words of Emeka Mba, DG of the National Film and Video Censors Board, “the latest synergy between the major stakeholders of the movie industry has to do with the agreement by all that we must progress from where we are now to a better pedestal. It is a great thing that we continue to build structures of progress. And what we are doing today is to consolidate on these structures. The MoU is to make us work in tandem with the states. With Lagos, most other things will fall into line. Lagos Commissioner for Tourism on whose laps the film industry falls, Senator Tokunbo Afikuyomi saluted the courage of the Censors Board Director General for making moves as to sanitise the film industry. He alluded to the contacts he had made concerning Nigeria films in Cannes, Barbados, Guyana and thanked Nigerian movie producer for making a great name out of what is generally regarded as not serious. He pledged the support of Lagos State for any great ideas that would strengthen Nollywood and ease the troubles of the producers, directors and distribution of movies in Lagos State.